Jay-L is a musical sensation born and raised in Rochester N.Y.Jay-L is an professional actor, singer, song writer, and model who sells out crowds wherever he performs. Jay-L comes from a christian background and you can feel the soulfulness in his music that will move you deeply. In 2009 he was the opening act for Jagged Edge and Silk.In 2010 he starred in an independent movie called "Hot Mamma Blues". 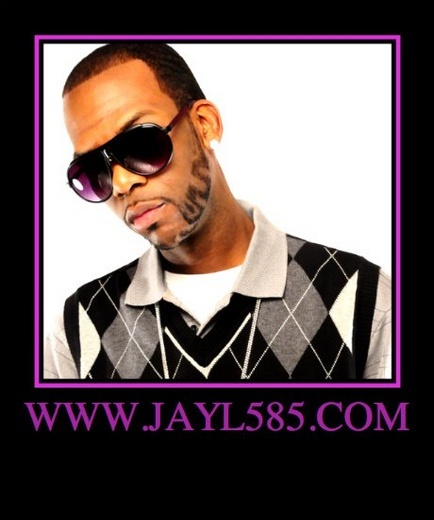 He was a contestant for American Idol in Season 6 and has performed in many stage plays written by Janet Baxter.Jay-L has sold thousands of cd's worldwide as an independent artist. He is Releasing his 3rd album in the spring of 2011 entitled " Karma".This is an artist who has won many song radio competitions beating out contenders from all over the world. His music is inspired by Usher, Beyonce, Stevie Wonder, Jagged Edge,MJ, Mary J, R-Kelly, Jodeci,Brandy,Monica, Daryl Coley and Yolanda Adams.This artist has one of the smoothest sounds you have ever heard. One day he is looking to have his own sunglasses line.